Texting can be an ideal way to do this. It’s something that many business software services, such as ClassJuggler, enable business owners or managers to do. Don’t include a dollar sign ($49) or percentage sign (15% off) or other finance related marketing language, such as, “Purchase today!” Doing so can get your text message blocked by the mobile carrier as marketing spam mail. Avoid using the phrase free, sale, or buy. Generally avoid using the text messaging service for marketing purposes at all. Certain government organizations have laws against using text messaging for marketing in order to protect consumers. Instead, consider texting customers as a great way to send important and timely messages to an individual or group of individuals To help with this, ClassJuggler’s texting feature allows you to filter your recipient list by class, parents versus students, date of class, and many other factors, so you can limit text messages to just those who really need to receive it. Go easy on the frequency of messages you send out. In today’s busy world, you can quickly annoy your customers by bombarding their phone with messages, which could motivate them to block your messages altogether. Also to avoid annoying customers, who may be in the middle of other important business, make sure the content of what you’re sending is actually relevant and timely to them. If it isn’t both timely and relevant, it’s better to send messages by email. Make sure to get permission from your customer to send the messages this way. An easy way to do this in ClassJuggler is to include information about your intention to do so when parents are signing up in the Parent Portal to request classes or make payments online. They will pass through screens that require the parent to click a checkmark box indicating their agreement with whatever you have written. Following these good business practices for SMS/texting will help ensure that your phone number is not blocked by an individual recipient or by the recipient’s mobile carrier. This entry was posted in Cheer ClassJuggler, ClassJuggler Dance, ClassJuggler Dojo, ClassJuggler Fitness, ClassJuggler for Franchises, ClassJuggler K-12, Music ClassJuggler, Product Info, School Management Tips, Studio Marketing Tips, Swim ClassJuggler and tagged SMS messaging, text messaging on June 14, 2017 by classjuggler. Almost a month into the new year now … are you on target with your resolutions and business goals for 2016? If not, the problem could be baked into the resolutions themselves. Using S.M.A.R.T. 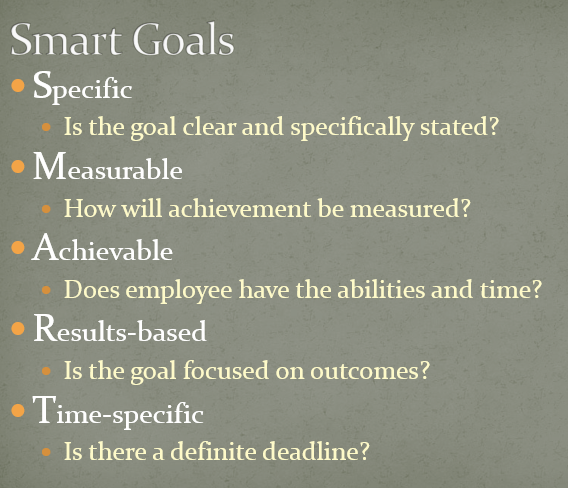 acronym, you can radically raise the likelihood that you’ll achieve your goals. In business, they use the word COMMITMENTS rather than RESOLUTIONS but it’s the same thing; it’s about what you will do to achieve certain standards or improvements in your life or work. This entry was posted in Cheer ClassJuggler, ClassJuggler Dance, ClassJuggler Dojo, ClassJuggler Fitness, ClassJuggler for Franchises, ClassJuggler K-12, Music ClassJuggler, Studio Marketing Tips, Swim ClassJuggler and tagged business management, S.M.A.R.T., school software, SMART on January 28, 2016 by classjuggler. In our previous article, Why You Should Be Using YouTube to Promote Your School, we looked at how video can help you keep customers and generate new business at your studio. If you’re now persuaded, but not sure where to start or how, here’s a brief primer to getting a YouTube channel, uploading your school’s videos, and more. To get your video content onto YouTube, follow these 5 steps. When creating the content for your YouTube channel, It’s best to not use an “old school” camcorder – one that uses tape. It’s a lot more work to get your media into a form that you can upload to YouTube if it’s not shot “digitally” – recording directly to electronic data. Instead, use a mobile phone’s video recording or a digital camcorder, so that your media is already digital. After you shoot the video, it’s possible that your video is good enough that it’s ready to transfer to YouTube. In most cases though, you may want to “clean up” the video, or improve it, by using a video editing tool to remove extraneous footage, to tighten it up, or to add transitions between shots (fade in from black, fade out, dissolve between shots, or add titles or branding). There are many products for this optional editing stage, from free to thousands of dollars. For a school’s marketing purposes, low-cost or free options are likely sufficient – and may already be included with your computer’s system software. Or, do an online search for “free video editing software” for Mac or for PC, and you’ll find many user-friendly tools to choose from. To upload your video onto YouTube, you must first create a Google account (because Google owns YouTube), and then you can use your Google account profile to create your YouTube channel. Create a YouTube profile, so YouTube knows who you are. Do a search for how to create a YouTube account, and you’ll find a few video walk-throughs, or view this step-by-step guide. Assuming you’ll want to post more than one video, it’s a good idea to create a YouTube channel. Go to YouTube’s Create a Channel screen, or check out this video that shows you visually how to set one up. Once you have your own YouTube channel, you can either go ahead and start uploading videos to your channel, or you can first customize your channel by add images and info to “brand” your channel so that it is clearly about your school and links back to your school’s web page. See the ClassJuggler YouTube channel for an example of this customization. Uploading your video to YouTube is super easy. Once you’re logged in to your channel, you’ll see an Upload button. Click on it, locate the video file on your computer, and upload. While your video is uploading, you can add file-specific information, such as a title, description, tags (which can help someone searching YouTube to find the video), and “visibility” settings – who can or cannot see it. For marketing purposes, you’ll want to set visibility to “Public,” which means that anyone can find it. Step 5: Notify your customers! Once the video has completed its upload, YouTube provides you with a unique web address for the video, which you can now use to promote your video to your current and prospective customers. Use ClassJuggler’s built-in e-mail tools to tell your students/parents about the fresh upload. You can choose to send it to just those in a particular class, or send it to your whole customer base. Advertise your YouTube channel on your website. Not only can you add it to your list of social media sites (see the top of our pages for an example of this), but you can advertise a class-specific video link with your class description, or add a “See our facilities” video link on your Contact Us page. Use your social media sites (such as Twitter or Facebook) to announce each new video you upload. Also, regularly encourage others to subscribe to your YouTube channel. Subscribers are notified by YouTube any time you upload a new video. You can encourage subscription on your site, in social media posts, in your newsletter, and in your e-mail signature line. If a picture is worth a thousand words, then a motion picture – video – magnifies that by a few million words. Why preach with words about what your school is like when a video can show them? This entry was posted in Cheer ClassJuggler, ClassJuggler Dance, ClassJuggler Dojo, ClassJuggler Fitness, ClassJuggler for Franchises, ClassJuggler K-12, Music ClassJuggler, Studio Marketing Tips, Swim ClassJuggler and tagged promote your business with YouTube, studio marketing on September 2, 2014 by classjuggler. If your business is a music school, a dance studio, a gymnastics school, a cheerleading camp, an acting school, a martial arts dojo, a private K-12 school, or tennis school, one of the best ways to promote your business, and build customer loyalty, is to publicly post videos of class sessions, recitals, performances, and competitions. Video can build customer loyalty. Your current students and their parents, like all people, love watching videos of themselves and their family members. When you post video of little Sally’s first floor routine, you can bet that she and her family will be tickled pink, and they will be grateful to you for it. The video channel extends your brand. By creating a YouTube “channel” – a collection of videos of your school and your students’ performances – and linking to that channel from your studio’s website, you give potential customers a whole new, multi-dimensional view into your business. They can see what you do, see the results of your teaching, and can envision themselves or their own child doing it. Viral marketing means that others are excited about something you have posted online and are sharing this with others. Video is ideal material for viral marketing. Your students and their parents effectively become your marketing team, sharing the YouTube videos you have posted to their friends and relatives, doing advertising work for you. It is inherently easy for your kind of school! One of the hardest things for most people to come up with when creating video content is the content itself. But if you have a school related to the arts or physical skills (dance, gymnastics, theater, martial arts, etc. ), your content already exists! Think about how naturally, dynamically interesting it is to watch your students and instructors developing or expressing their talents, putting on a show, and competing. It’s colorful, it’s active – it’s inherently GOOD content! Just start recording video and you are on your way. One thing that every business can benefit from is good, clean “backlinks” to their site, and your YouTube channel is the perfect way to boost the number of links that go to your website. Not only from the YouTube channel description of your business (with links to your website) but with every post description, you can link back to your website or even to the link of a specific class related to the video post. More backlinks boost your significance in Google’s algorithms, causing you to show up higher in search results. TCA of Mokena, Illinois – a tumbling and cheerleading school – uses a 2-minute video to introduce their school to potential customers, and to explain the difference between tumbling and tumbling for cheerleading. Dance Elements of Pflugerville, Texas, has posted a number of videos on their YouTube channel, mostly as a way of introducing or showcasing their classes, such as this Christmas Nutcracker ballet class. JRP New England of Boston, Massachusetts, uses their YouTube channel to showcase skits, performances, and demo reels of their student actors. Thinking about creating a YouTube channel for your school? Good idea! If you’re not sure how, stay tuned – will be posting a YouTube channel how-to article shortly to help you get started. 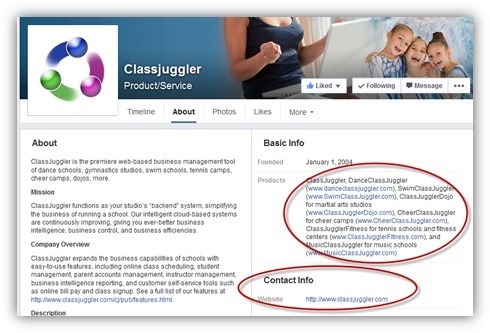 Meanwhile, check out our own ClassJuggler YouTube channel and subscribe to updates. This entry was posted in Cheer ClassJuggler, ClassJuggler Dance, ClassJuggler Dojo, ClassJuggler Fitness, ClassJuggler K-12, Music ClassJuggler, Studio Marketing Tips, Swim ClassJuggler and tagged school promotion, YouTube for marketing on August 27, 2014 by classjuggler. ClassJuggler’s cloud-based studio management software solutions for class-based businesses, such as dance schools, music schools, K-12 schools, tennis camps, gymnastics studios and cheer camps, comes with a bevy of “backend benefits” – tools that help you run your business better, such as business intelligence reports, customer records management, full-featured email communications, billing, teacher management, class schedule management, etc. Customer self-sign-up for classes. Our Customer Self-Service Center features that make it possible for students or their parents to sign up for scheduled classes right from your website, and without your assistance. Customer self-service features on your site saves you time and energy (the backend benefit) AND puts customer in control of their online interaction with your business. They can browse your course catalogue and choose classes in their own time, doing so from the comfort of their home or office. The customer self service features turn your business into a 24-7 business, “always open,” even as you sleep, since the prospective customer can sign up any time day or night! This kind of customer empowerment can boost business. Online customer self-pay and profile management. Our Customer Self-Service Center also makes it possible for your customers to go to your website, log into their own account, and add a new phone number, make an address change, or even pay for classes their kids are signed up for. Such services not only save you lots of time (the backend benefit) but helps customers do business with you efficiently. Advertising these features on your site can make your school look and function more professionally, which also makes your school more competitive compared to other schools in your area. This can generate new business. Online electronic customer payments. We partner with two leading merchant processing services that enable you to affordably and easily accept credit cards or debit cards for payment from customers. Face it, most of us do business today using credit cards or electronic payments, rather than cash or checks. When you support this preference, you remove a “barrier to entry,” eliminating something that might block a potential customer from choosing your school. Merchant processing services can also help you retain your current customers, thanks to the ease of doing business with you that electronic payments allow. You can upgrade your ClassJuggler account at any time with the customer self-service center functionality or merchant processing services, or start out with them if you’re a new customer, Contact us and we can walk you through the rates, the process, and the features. This entry was posted in About ClassJuggler, Cheer ClassJuggler, ClassJuggler Dance, ClassJuggler Dojo, ClassJuggler Fitness, ClassJuggler for Franchises, ClassJuggler K-12, Studio Marketing Tips, Swim ClassJuggler and tagged customer self service, merchant processing on July 31, 2014 by classjuggler. In a recent article, we discussed the importance of putting a link on your studio’s website to your studio’s social media sites. 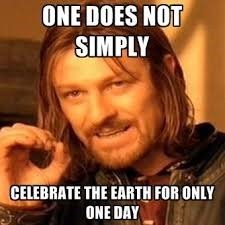 But don’t forget to look at it the other way around. For instance, let’s say a potential client is looking for information about your studio from a search engine and clicks on a link in the search results to your social media site, will they will easily be able to navigate their way from your social site to your website? The answer is, YES – but only if you take advantage of this one simple opportunity: back-linking. With many popular social media sites, such as Facebook and Twitter, you have the opportunity as a business owner to create an About page (see example from Facebook in the image below) or other kind of info text block on the social site. The good news: We see that many of you are already taking advantage of this to put information about your business but, surprisingly, are not providing a link back to their website. Make sure you take advantage of this About Us block of space by including the web address of your business. This entry was posted in Cheer ClassJuggler, ClassJuggler Dance, ClassJuggler Dojo, ClassJuggler Fitness, ClassJuggler for Franchises, ClassJuggler K-12, Music ClassJuggler, Studio Marketing Tips, Swim ClassJuggler and tagged backlinking, business promotion, dance studio marketing, gymastics class marketing on June 2, 2014 by classjuggler.